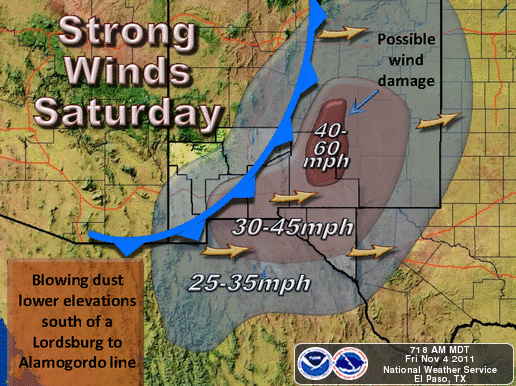 High Wind- Blowing Dust Event Saturday. Valid 6 AM MDT Sat Nov 5, 2011. Surface Map Forecast Valid At 6 AM MDT Sat Nov 5, 2011. 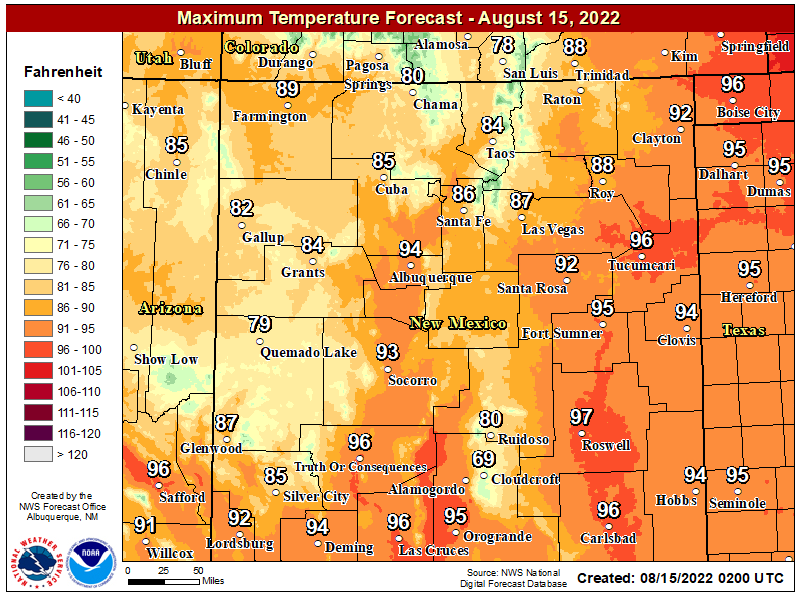 High Winds - Blowing Dust - High Fire Danger Saturday. Special Media Briefing By NWS El Paso On Saturday's Winds. Special Media Briefing BY NWS Albuquerque On Saturday's Winds. Special Weather Statement By NWS Midland On Saturday's Winds. Wind Advisory For Chaves County Saturday. 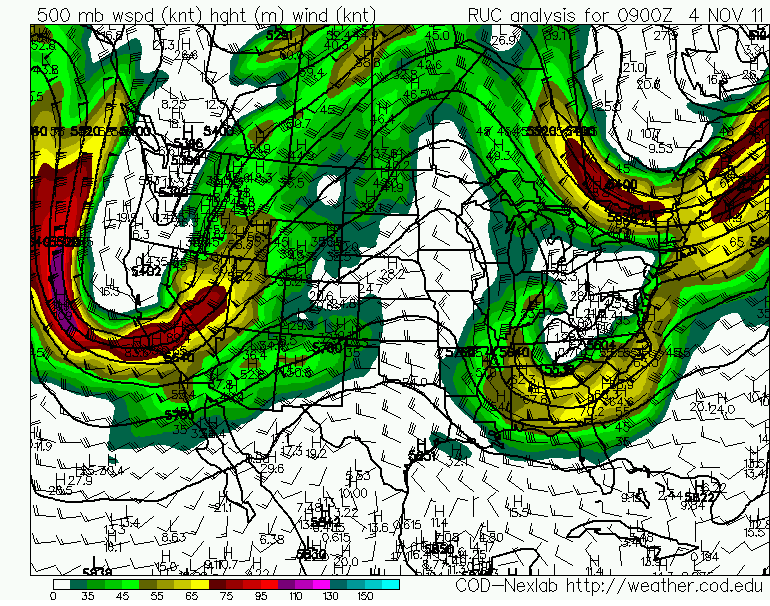 Valid From 6 AM - 4 PM MDT. 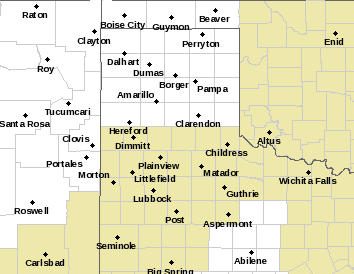 Wind Advisory For Eddy - Lea Counties Saturday. Valid From 9 AM - 6 PM MDT. 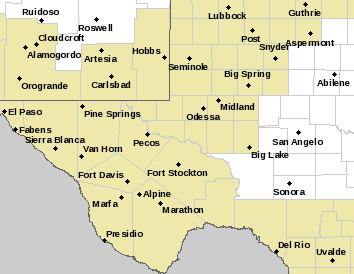 High Wind Warning For The Guadalupe Mtns. 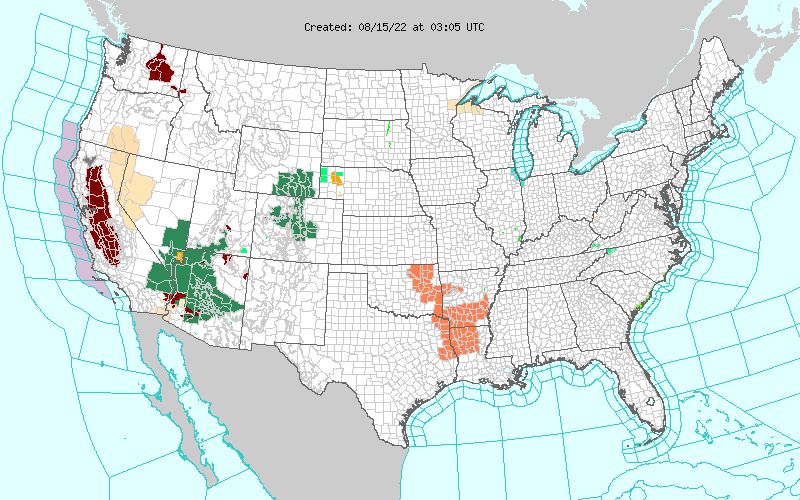 Valid 3 AM - 6 PM MDT. High Wind Warning For The Southern Sacramento Mtn's. 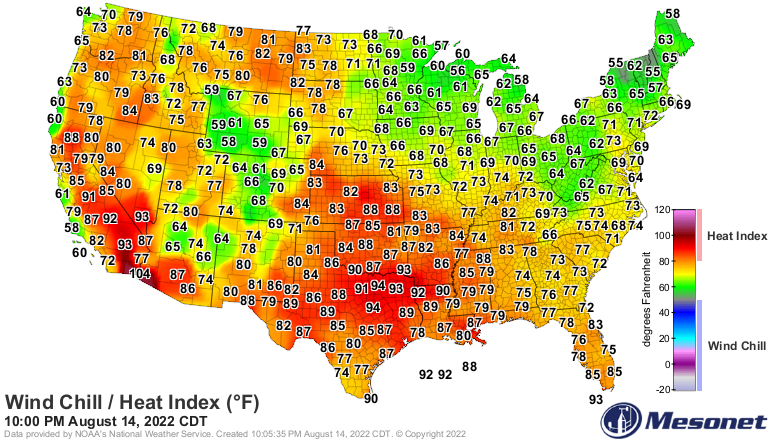 Valid 6 AM - 6 PM MDT. High Wind Warning Northern Sacramento Mtn's. Valid Midnight Tonight - 4 PM MDTSaturday. It's that time of the year again. 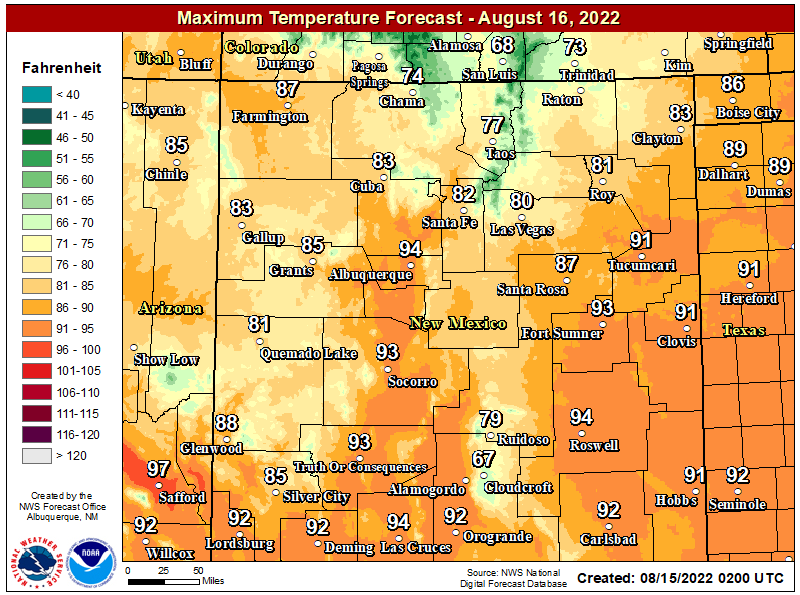 High winds and blowing dust forecast to impact much of the local area Saturday, along with near Critically Dangerous Fire Weather Conditions. A strong and digging upper-level trough of low pressure currently centered over southern California, will swing rapidly eastward towards New Mexico tonight and tomorrow. 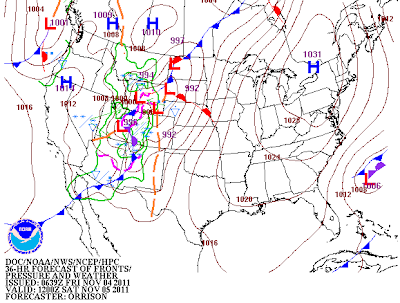 By Saturday night it will be moving northeastward and out of the state into the central plains. A 90-100 knot (104-115 mph) jet will round the bottom or the trough of low pressure tomorrow, while a 40-50 knot (46-58 mph) 700 MB (10,000' MSL) jet will accompany it. Across the central and northern areas of the state these mid-level winds (700 MB or 10,000' MSL) are forecast to howl at around 50-75 knots (58-86 mph.) These strong winds aloft will mix downward to the surface starting tonight as the upper-level storm and its associated Pacific cold front approach the area from the west. As the upper-level storm and the Pacific cold front sweep eastward across the state tomorrow, southwesterly winds will rake the area. 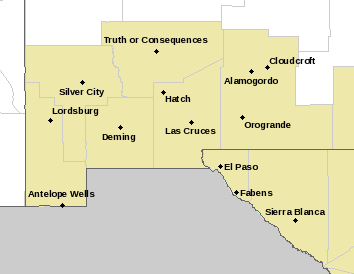 A High Wind Watch has been posted for the Guadalupe, and Sacramento mountains, as well as most of central and northeastern New Mexico. 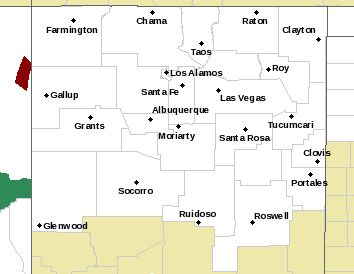 A Wind Advisory may be posted for parts of southeastern New Mexico as well later today. Southwesterly winds are forecast to increase over the mountains tonight, and increase even more so on Saturday. These winds will become sustained at around 35-45 mph with gusts near 60 mph across the Sacramento mountains. 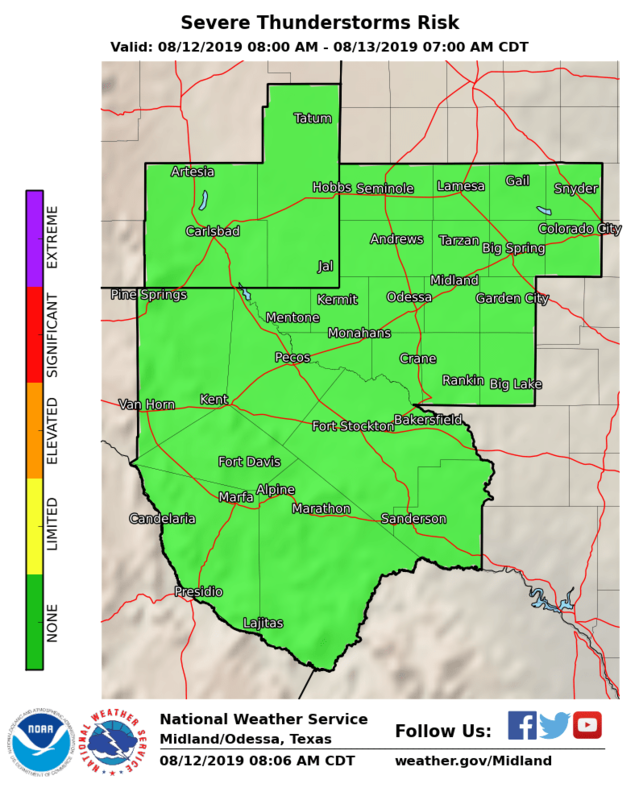 Across the Guadalupe mountains southwesterly winds are forecast to increase to sustained speeds of 35-50 mph with gusts near 65 mph on Saturday. A warm-up will commence today as southeasterly winds pick up this afternoon. 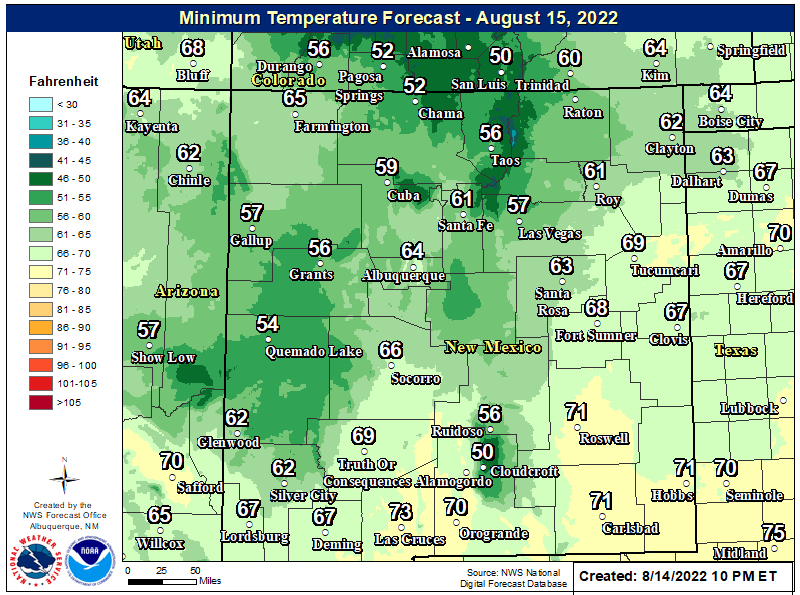 Mostly sunny skies are anticipated with our afternoon highs forecast to range from the upper 60's to the low 70's. Strong southwesterly winds will increase across the local area by tomorrow morning. By late in the morning these winds will increase to sustained speeds of 25-35 mph with gusts in the 40-45 mph range. Some higher gusts will be experienced in a few of the more wind prone areas and near the foothills and mountains. 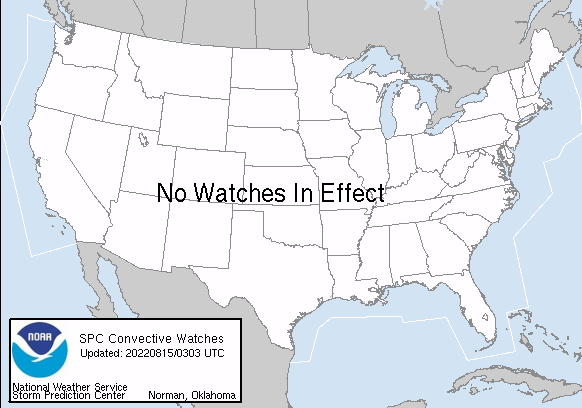 High temps tomorrow are forecast to range from near 70 to the mid 70's. Areas of blowing dust may develop tomorrow afternoon as the Pacific cold front moves through. Some locations may experience drops in the visibility down to less than 1 mile, this will be especially true near open or freshly plowed farmlands, fields, lots, construction sites, and other dust prone areas. A few light rain showers may dot the landscape tomorrow afternoon, especially over and near the mountains. The snow level is forecast to drop down to around 7,000' MSL across the Sacramento mountains. Cloudcroft has a 20% chance of snow showers tonight into tomorrow. Ruidoso has a 20% chance of seeing rain and or snow showers tomorrow. At this time significant snowfall totals are not anticipated across the Sacramento mountains from this storm. 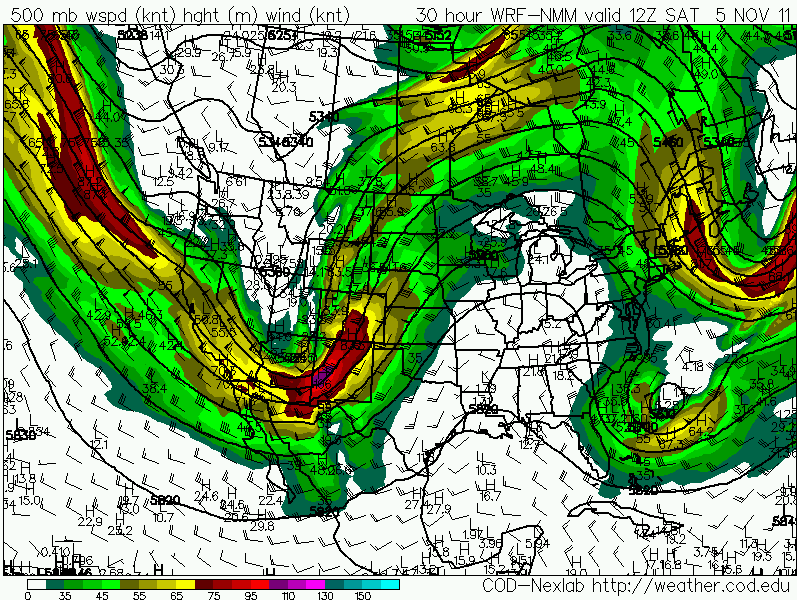 A second and stronger upper-level storm is forecast to affect the state Monday and Tuesday. This next storm is forecast by the models to dig a little further south than Saturday's storm. It may produce scattered rain showers across the lower elevations of the area, and a better chance for snow showers across the mountains. But it too will be a wind bag.